Want to get a better system performance but preserve the original system? You can change the system disk to be SSD. Plan to replace the SSD with a bigger one? With Renee Becca, you can migrate system to new SSD or clone the whole SSD to a bigger one in 3 simple steps. With the popularity of SSD, more and more computer users plan to replace the system disk with SSD to get a better performance on functioning and operation. And some users who have replaced the HDD with SSD want to change the SSD to a bigger one with the increasing data and files. It sounds very easy to do so. But the horror of reinstalling Windows and all of your software begins to set in. Besides, how about the data inside the disk? Coping one by one wastes too much time. Then you could have a try of Renee Becca, a professional System migration/SSD clone software! Many users have used it to make the SSD clone without any problem. 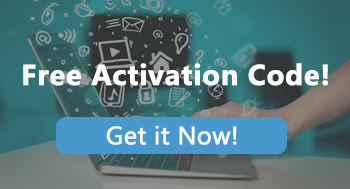 Now, you can download Renee Becca and get the free activation code for Renee Becca! Why Choose Renee Becca to Make the System Migration/SSD Clone? No matter you migrate system to SSD or clone whole SSD to a new one, you can boot from the new SSD immediately after migrating/cloning! 3 simple steps for whole clone process! No need of any professional knowledge. Directly system migration/SSD clone! No need to make the image. Connects the source disk and target SSD to your computer. 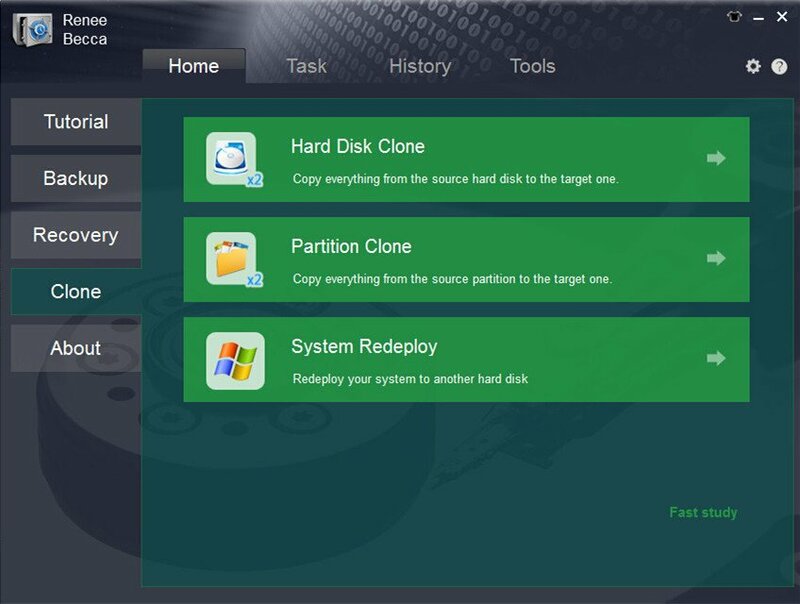 Renee Becca is your first choice because it mixes backup and restore but also equips with two powerful functions Clone and System migration. Please make sure the new SSD is big enough to hold the operation system. And backup your data inside the new SSD. Because the clone process will erase all the data inside the SSD. Thinking of the different needs, we introduce two different SSD clone methods: migrate system from HDD to SSD and clone SSD to new one. If you want to migrate the system in HDD to new SSD and make it the system disk, please try the “System Redeploy” function. Step 1: Click “Clone” in the left side and then click “System Redeploy”. Step 2: Select the system disk and new SSD you prepared for the migration. Step 3: Click “Redeploy” and then click “Yes” to continue next process. After the migration finished, please try to boot from the new SSD. *Please make sure the new SSD is bootable before formatting the source disk. Method 1. Disconnect the original HDD from your computer and then connect the new SSD. Then your computer will boot from the SSD automatically. Method 2. Connect the new SSD to computer and then change the boot order in BIOS. Please click here to find how to change the boot order of your computer brand. Sometime, we may want to replace the SSD with a larger one with the increase of data. At this moment, we could have try of Hard Disk Clone function which can help us clone all the data inside the system to new SSD at a time. 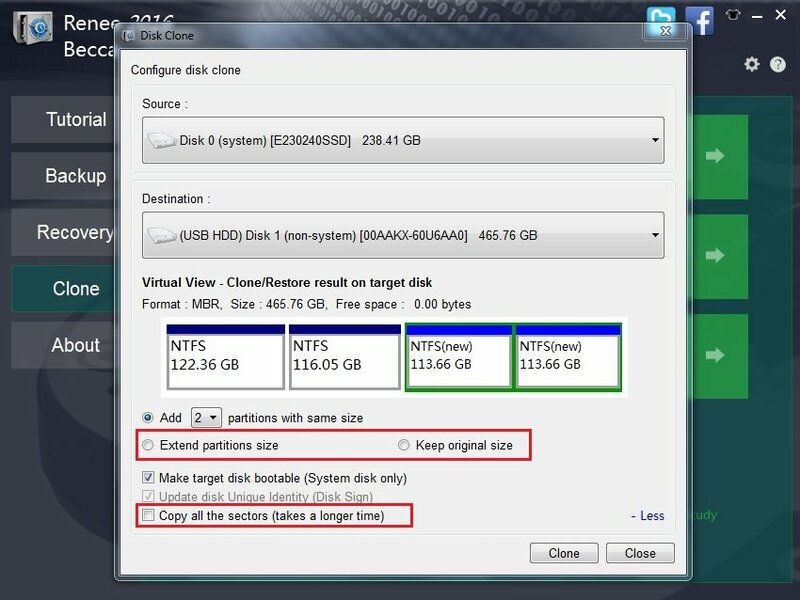 Step 1: Click “Clone” on the left side and then click “Hard Disk Clone”. Step 2: Select the source SSD and the target SSD. Then please click “Clone” to process the SSD clone. If the size of the target new SSD is larger than the original one, you can make use of the free space by adding new partition(s) or extend the original partition. Method 1. Disconnect the original SSD from your computer and then connect the new one. Then your computer will boot from the SSD automatically. Want to replace the old SSD with the newer and larger one or migrate system to SSD to get a better performance? Entirely free Renee Becca helps you make it with 3 simple steps! 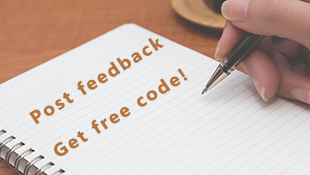 Download and try it now! 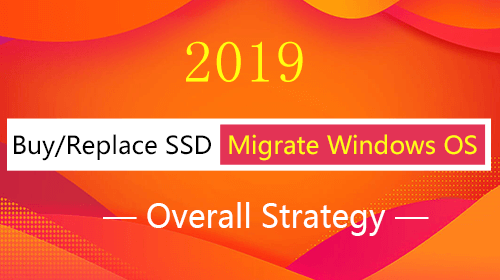 How to Migrate Windows 10 to SSD for Free?